It is not always easy to preserve your teeth for your whole life – especially if they are inflamed. On this page we would like to explain a few of the most important aspects of root treatment by a specialist. If your dentist recommends treatment by an endodontologist, she or he probably suspects there is something wrong with the inside of a tooth. The treatment of special cases requires special training and extensive experience in this specialized field of dentistry – and also the special technology to visualise and work on the tiny root canals inside the tooth. At ENDOPUR our main goal is to preserve your natural teeth. And our high success rate is very reassuring: The vast majority of teeth treated at our clinic can be saved by expertly carried out endodontic treatment, with good prognosis! 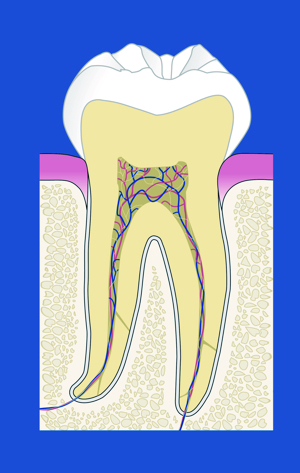 Because the root system of a tooth has lots of small branches, like a tree (some as small as 0.06mm! ), they can only be seen under a microscope. This technology and the associated flexible, minute instruments enable the optimum preparation for removal of the bacteria and the diseased tissue – and therefore also increased treatment success. Then the residue is removed with a rinsing solution. As a final preparation for filling the root canal system, the root canal is prepared with highly flexible micro-files. For the filling, the material gutta-percha, which is related to natural rubber, is heated and put into the now perfectly prepared system in combination with an adhesive cement. The cost of the treatment depends on the time required. The estimated cost is calculated before the treatment, based on individual circumstances such as the degree of inflammation and the anatomy of the tooth. However, in Germany such specialized and sophisticated treatment, which is tailored to each patient’s needs, is not covered by the statutory health insurance companies. This means the costs are to be borne by the patient, who will, depending on their level of benefits, be reimbursed by their private health insurance. 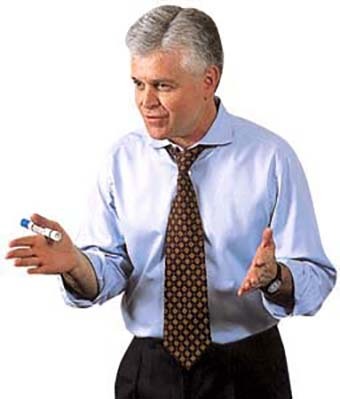 We will thus provide each patient with a detailed, binding cost estimate prior to their treatment. Regular check-ups are essential following successful treatment of periodontal disease (gum disease) to prevent recurrence or a new infection. Only regular visits with your dentist and a thorough oral hygiene routine at home can prevent periodontal disease! “Critical areas” require regular checkups. Make an appointment for the cleaning of those hard-to-reach nooks and crannies to help prevent the formation of “periodontal pockets”. Ask about our recall program: we are happy to call you when your next check-up is due. Or just arrange a new appointment after your visit to the dental hygienist. Your healthy gums will thank you for it. The operation microscope enables the precise visual monitoring of the treatment process. In order to treat the finely branching canals safely, a good view is not only helpful but essential in modern endodontology. The fine canal openings are often impossible to see with the naked eye. If you leave it to touch, many canals and nooks and crevices remain hidden. The tissue residues and bacteria that remain there could lead to recurrence of the inflammation even years after the treatment. Only 39% of root canal treatments carried out in Germany using the conventional methods are successful and only 12% of treatments give a result that fulfills requirements of the ESE (European Society of Endodontology). 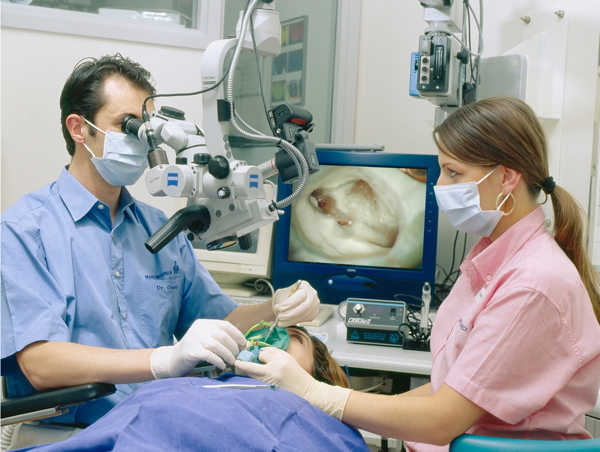 ENDOPUR has ultra-modern OP microscopes for endodontic treatment. X-ray images are routinely taken at all dental offices. While they are relatively easy to produce, there are situations where they are not the right diagnostic tool, such as in case of distortions, with superimposed structures or where images are blurred or unclear due to issues with exposure. In the worst case, this can lead to misinterpretation of the x-ray image. 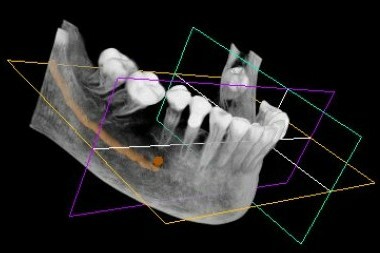 With Cone Beam CT (CBCT) a new era began in endodontology. The high-resolution 3D images present the tooth in thin layers, there is no distortion or superimposition and all images are to scale. CBCT diagnostics allows endodontologists to detect a wide range of diseases of the tooth and surrounding structures such as bones or the maxillary sinus that would otherwise only be visible with much more elaborate technologies (i.e. computer tomography, magnetic resonance imaging). Another advantage of the CBCT technology is the much lower exposure to radiation compared to conventional CT.
We probably could call him our mentor: Cliff Ruddle has always inspired, supported and encouraged us. As a student of Herbert Schilder, the famous father of “Schilder’s philosophy”, he further expanded Herb Schilder’s technique. He also designed and developed innovative instruments for dental root canal treatment that are much finer and more effective than what was previously available. As we kept meeting him at his lectures and workshops, as well as at meetings of professional associations and training courses we discovered our mutual fascination with endodontology.